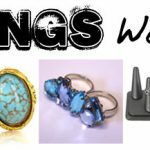 Since it’s Rings Week here at Chic Steals, I wanted to share with you a quick n easy way to add a bit of pizazz to a store-bought 2-finger ring (with a flat top) and some scrapbooking embellishments. 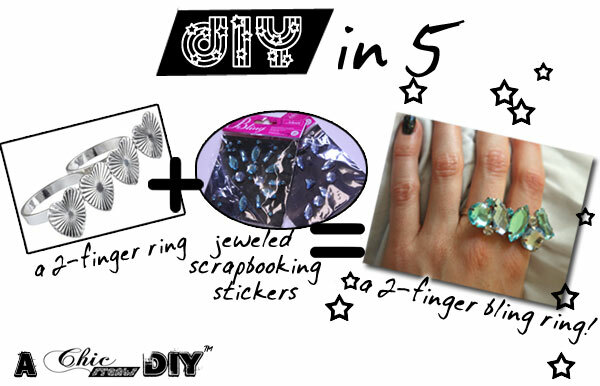 It’s DIY in 5 – minutes, that is. 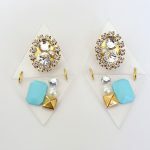 The easiest, quickest ways to take a piece from blah to fab and update it to current trends. 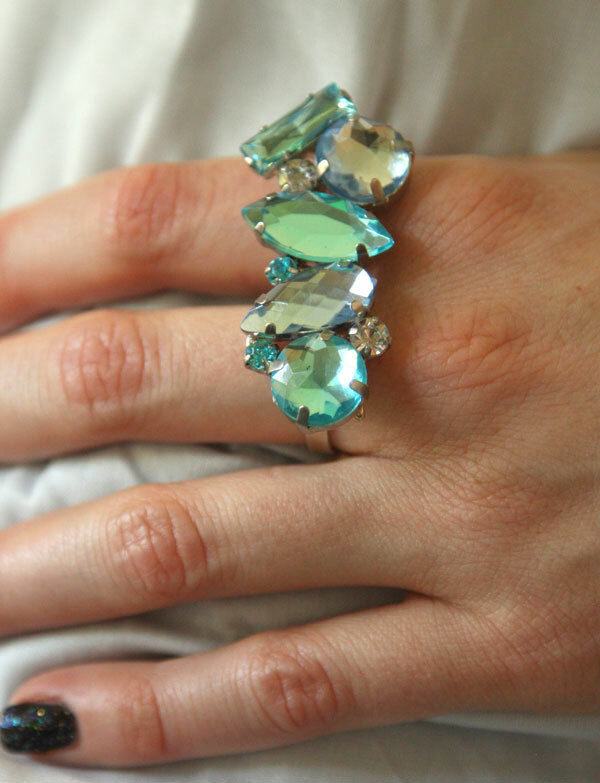 Lucky Magazine posted a photo of this gorgeous Zoe Chicco knuckle ring waaaaay back in 2008? or so, and I kept the clipping on my inspiration board. As usual, they were way ahead of the trend, since it’s only been since 2009/2010 that we’ve been seeing 2- and 3-fingered rings adorning the fingers of fashionable girls the world over. 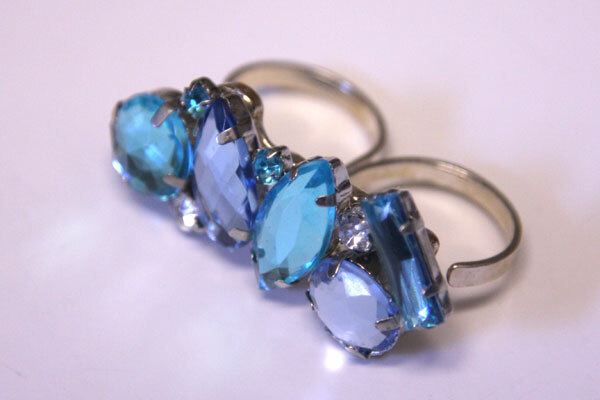 At $495, I found this beautiful ring beyond my budget back in 2008, and it’s sadly unavailable now besides. [BTW if you’re wanting this style but don’t want to DIY, Soixante Neuf sells a veeeery similar bejeweled ring so if you feel like spending $216 then the same style can be yours!] 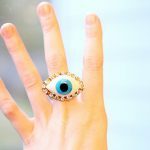 You can also probably find this double-finger ring covered in jewels from some lower-priced trendy retailer like Forever 21 or elsewhere if you look hard enough. But of course, I wanted to make my own – similar to the original! 1. If using the scrapbooking stickers, you may want to pull the sticky back off first and figure out how you want to place your jewels. I found it was easy to position my jewels on the ring top while they were sticky – but super-difficult to pull them off one by one and add the glue. Your choice! 2. Once you’ve decided on the placement, just spread some glue onto your ring base, and position the jewels on top. Allow to dry for 24+ hours before wearing. 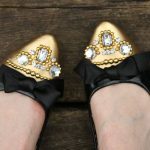 Or alternatively, you could glue the jewels onto a piece of metal (like an old piece of jewelry; a sheet of embossing metal; or a metal jewelry blank from Michael’s newly-added hammering and embossing section)…and then glue TWO separate flat-pad ring shanks onto the back of the embellished metal, right next to each other, to create the two-fingered ring. What an adorable and easy DIY project! I think I will have to try this out! Rings Jewelry is one of the most popular pieces of jewelry. And rings jewelry is well loved by everyone. Almost every people own rings. Rings can symbolize important bond like engagement and wedding. Ooooooh, I love it! Unfortunately, my only local craft stores are Hobby Lobby and Hancock Fabrics, which leave a lot to be desired. I’m in awe of how this ring manages to be both dainty and substantial at the same time. Great work! Thanks Sara! You can also buy those jeweled scrapbooking stickers online if your craft store just doesn’t have those that appeal to you. Thank goodness for the Internet, right??! So thrilled to see this DIY. 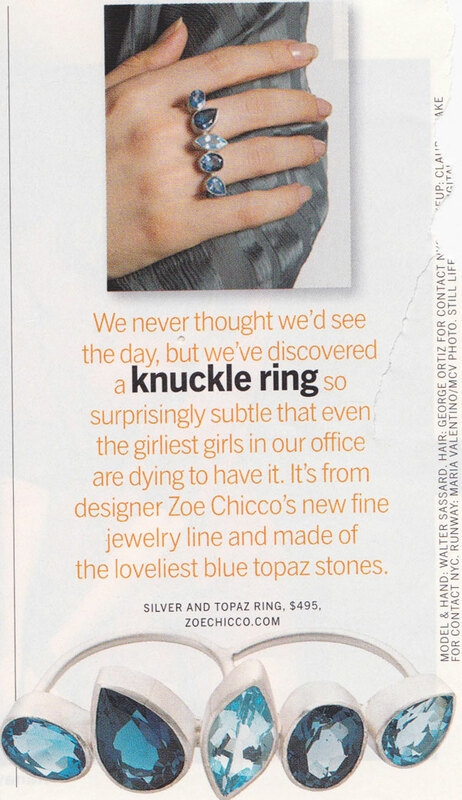 I have the same magazine picture of the Zoe Chicco ring picture in my inspiration file. Love your version. I remember seeing this article in Lucky long ago! Thanks for the DIY, it’s so pretty!